On August 5, Stuff From Trees will have a booth set up at the Albia Restoration Days celebration. The theme this year is the Wild West, and we have several pieces that celebrate that cowboy spirit. I love this quote from John Wayne, and it fits perfectly with this denim and leather stand-up sign. 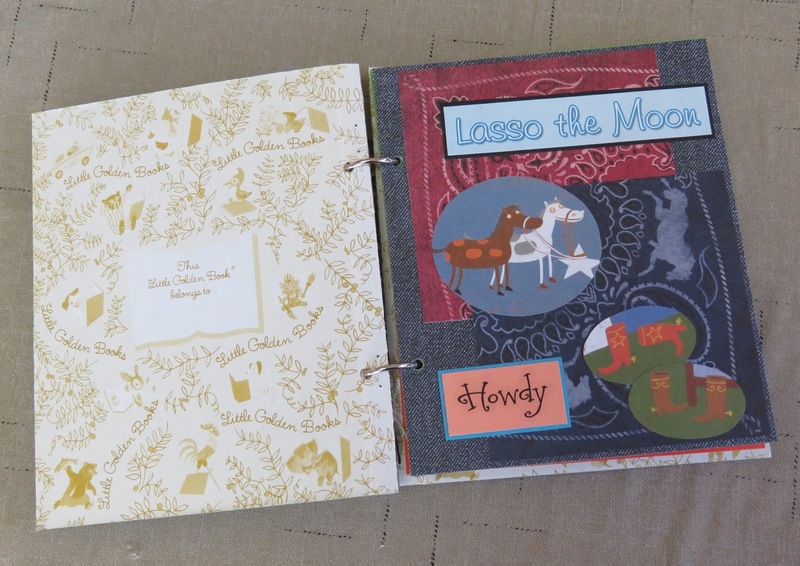 Our altered journals are some of my favorite crafts we do, and the Wild West one is no exception. 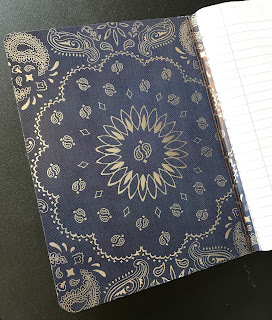 It's covered with words and images that are sure to take you out on the range. 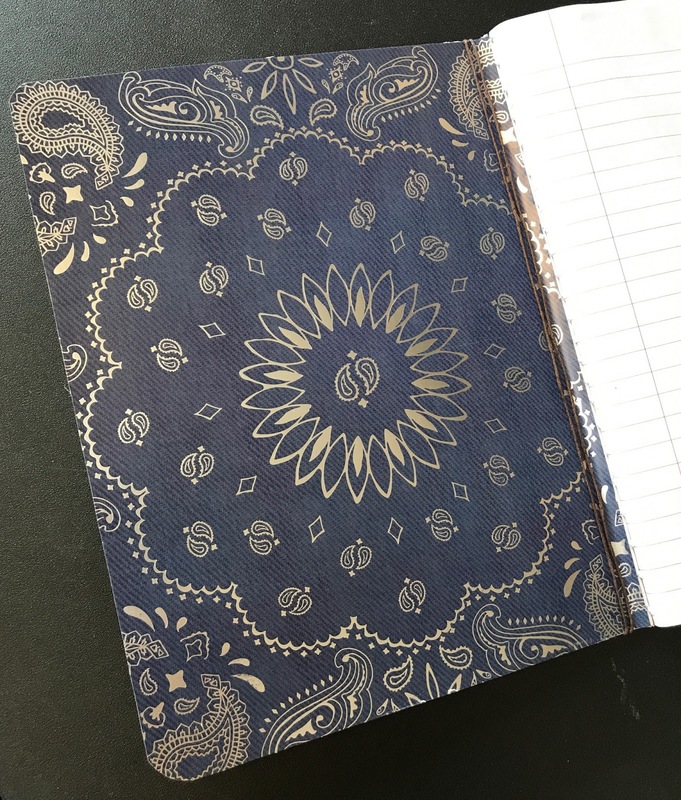 The inside covers are covered in a metallic bandana print in both blue and red. 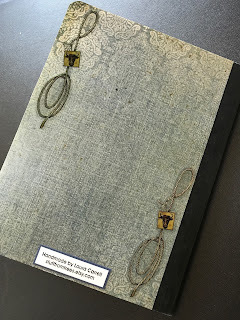 And the back is a gorgeous denim print with ropes and steer emblems. 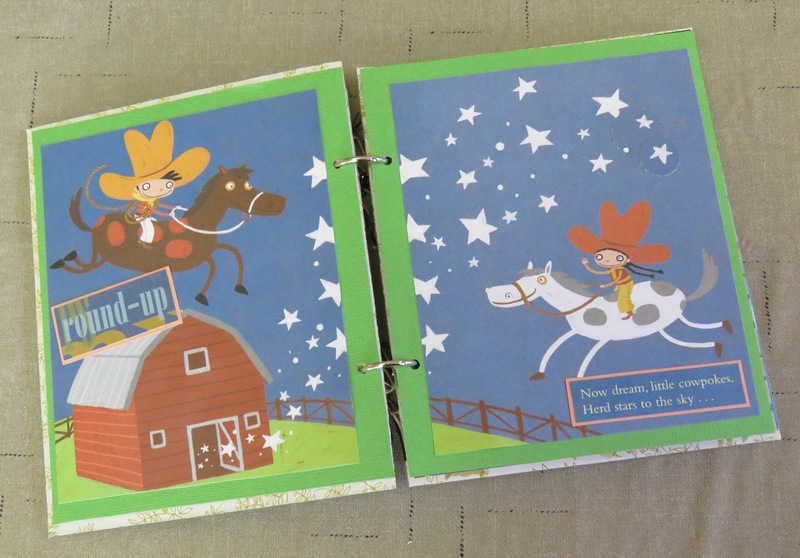 As wonderful as those two are, this altered Little Golden Book is probably my favorite of anything we'll have at the show. 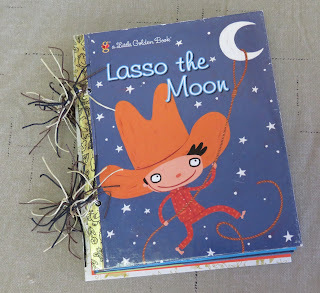 Lasso the Moon is a book about two children who spend their night wrangling the stars and practicing their lasso techniques on the crescent moon. 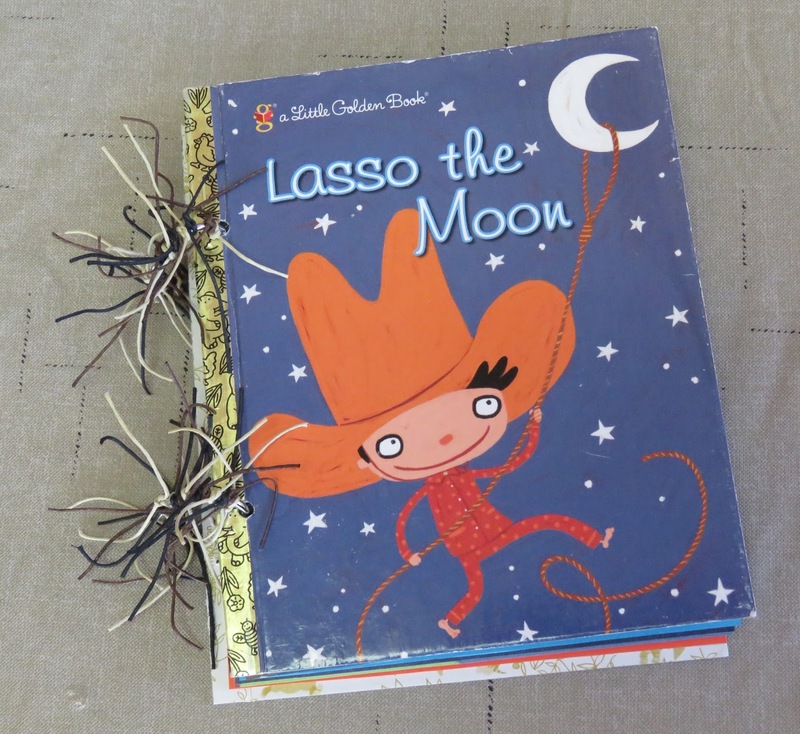 I took the book apart, made my own pages and used the original book illustrations as pages and accents. 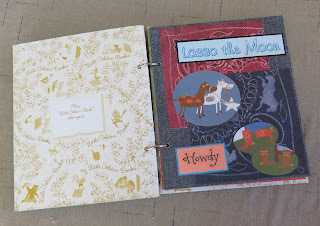 The artwork itself is adorable, and all I added were a few words and embellishments for each page. 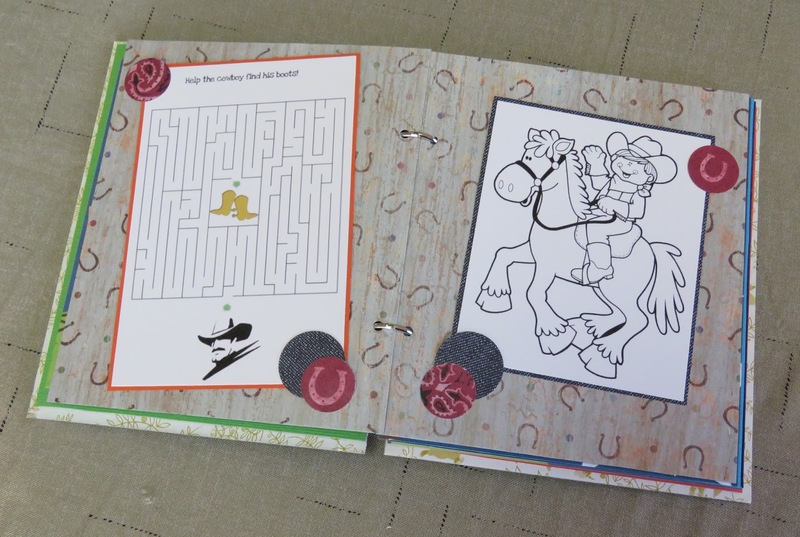 Every other set of pages is filled with puzzles, games and coloring pages in that cowboy theme. 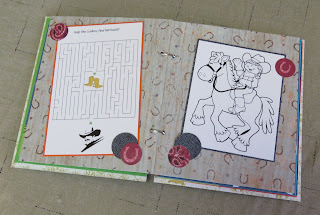 Any young'un would love to have this activity book to play and draw in. 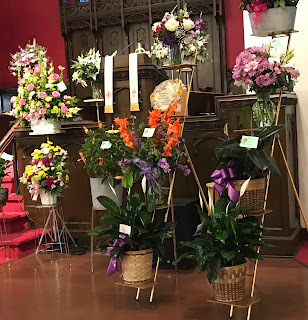 Stuff From Trees will be at Albia Restoration Days on Saturday, August 5, from 10 a.m. to 4 p.m. The square will be filled with artists, crafters and vendors for lots of fun and food. 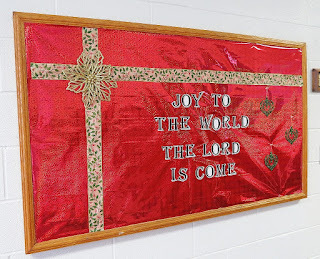 Please come join us and see all the wood and paper crafts we have on sale now!